Most applicants make their videos public and share them through Twitter and other social media (check the @gtamtv hashtag), so the excitement and nervous anticipation of a yea or nay response to my application began right after I submitted and then started watching many of the other applicants' videos. (Okay, full disclosure: I actually watched some of the early applicants before I submitted.) It was clear immediately that there were a lot of really talented, creative people out there applying, and that nearly all of them had more advanced film-making skills! You can see the videos from most of my Mountain View cohort group on this playlist compiled by Adina Sullivan, one of our members. Thanks, Adina! So Much More Than a Two-Day Experience! 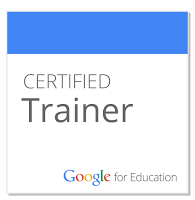 Although the Google Teacher Academy lasts just two days, and we even got our official certificates at the end of the first day, it is definitely so much more than that. Not only are those two days packed to the gills with information about new tools, incredible models of teaching techniques, exposure to Google's teamwork and "Moonshot Thinking" culture, tons of networking, and just plain FUN, but the two-day "live" experience is clearly just a piece of the puzzle. The minute I got the acceptance letter, the networking - both formal and informal - began. 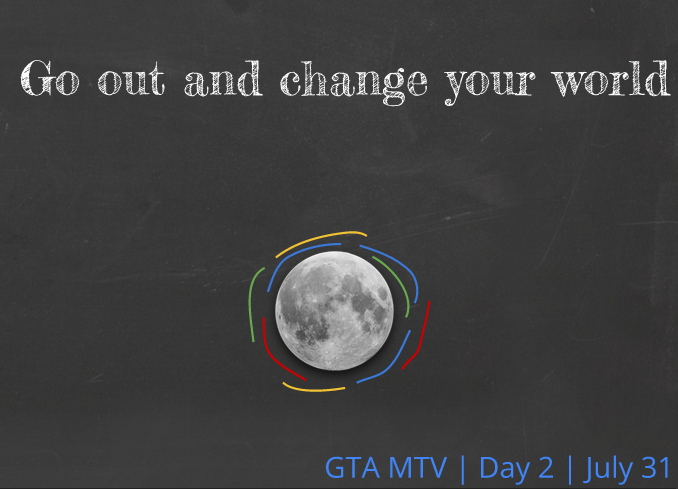 My new cohorts began tweeting and blogging and we were set up in a GTAMTV Google+ community. Just about everyone was an overachiever, coming up with ways to connect and contribute through shared Google Forms, T-shirt logo ideas, and pre-academy hangouts and meetups. I'm used to being the one to raise my hand and volunteer to organize activities; this group was so enthusiastic that just about anything I could think of to offer was already done by one of my colleagues. What a super group! I wasn't able to attend any of the Google Hangouts, but I did get to meet one cohort member, David Saunders, at the American Library Association Annual Conference the end of June, and Caren MacConnell did an awesome job of organizing a happy hour the night before our academy. In addition, the experience will clearly continue forward, both formally and informally. 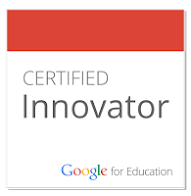 One of my obligations as an attendee and newly-minted "Google Certified Teacher" is to develop an action plan for a project making positive change in my school, my district, and/or the greater educational world. As new GCTs, we were also added to a Google+ community of all the previous GCTs to share questions and ideas with. This is a very active community with lots of resources and participation I know I will benefit from. So, what are some of my take aways? Clearly, it is going to take me a lot of processing to even begin to compile a list. My goal in this post is simply to begin. I feel so very honored to have been included in a group based on this criteria. More important, though, is that the GTA experience inspired me to "up my game" in all these areas. Right now, I have at least a dozen ideas for my action plan, most of which I know are very "doable." But, the question in my head keeps being, how can I go beyond the doable, and make changes beyond what we think is possible? 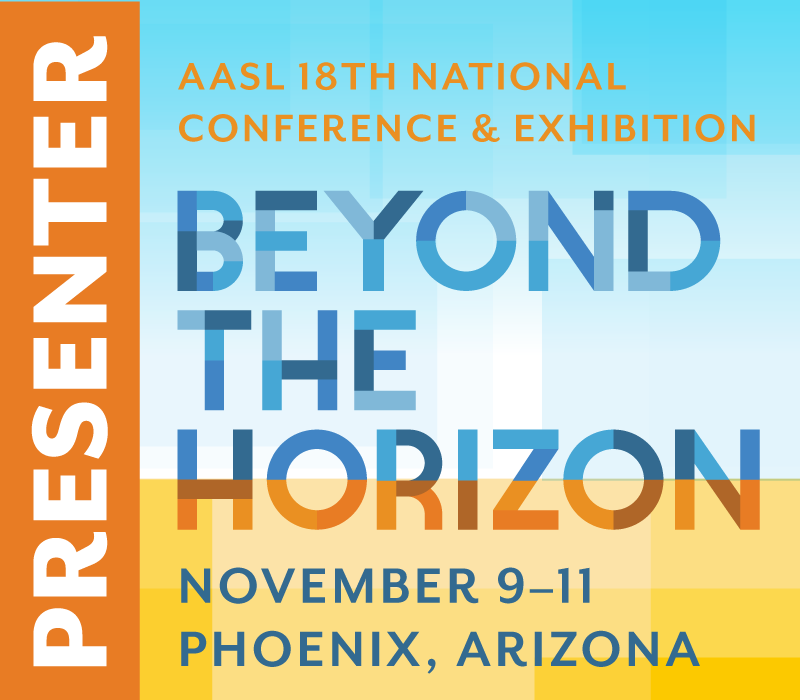 And, how can I model that kind of thinking for my students, teachers, library colleagues, and personal learning network (PLN) members to inspire them to think big also? That's what Google clearly challenges its employees to do and what we were asked to do as well. Stand by, as I come up with my moonshot thinking plan! One of the great benefits of attending the academy is that I now have 65 new chohort members, plus the awesome organizer "lead learners," in my PLN I can call on for help. This thinking really syncs with my philosophy as a school librarian. As a librarian, I am especially trained in how to find and evaluate information. Of course, I want to help kids by curating sources for them. But, much more important, I want them to develop the needed skills to find information and evaluate it for quality themselves, and not just to stuff their heads with facts that they can easily access through search resources when they need them. 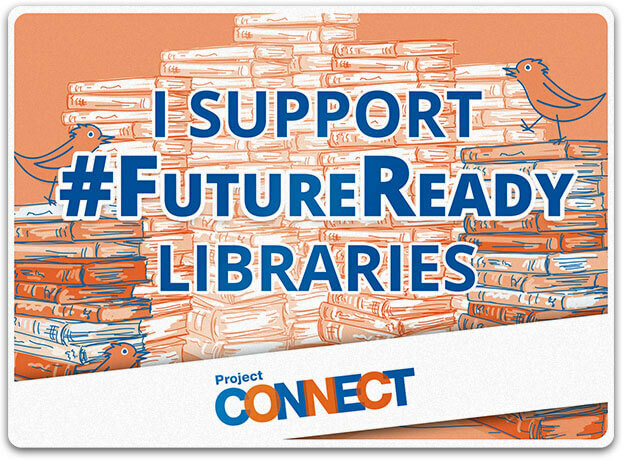 I also do everything I can to make the library a place where students get to choose to learn about what they want to learn and to solve problems they want to solve, not to just research an assigned topic. Hearing this philosophy at the academy makes me more determined than ever to share this kind of thinking with my colleague teachers. If we want to engage students, we need to allow them choice in exploring what interests them. We also need to give them assignments that require them to create, not just consume. With the tools available today, we can help our kids change the world; we have to stop simply asking them to absorb information. Maggie Johnson, Google Head of Education Research, one of our speakers, shared that, at Google, everyone works as a team. We as teachers all need to collaborate and we need to teach our students how to do that in preparation for real life challenges. Throughout the academy, we were challenged over and over again to work in teams. Not once were we just told how to do something; instead, in virtually every activity, we were organized in groups and asked to work together to solve a problem. All the activities served as models we could use back home with our students and colleagues. And usually, our groups were competing against each other, but always in the spirit of fun. As Jon Corippo, one of our "lead learners," shared, when you turn on the clock, it becomes a game. Frankly, I often found these activities intimidating. I like to think of myself as one of the fast learners. In this group, I frequently struggled to keep up. For example, in the "Are You a Google Iron Chef?" activity led by Corippo and JR Ginex-Orinion, each group had to fill out a slide displaying research information we gathered, a photo, and trivia fact about us at the academy. I was simply too slow to complete my slide properly. What I learned from that experience will give me a better understanding of what it is like for the students who have trouble keeping up. I also learned that everything doesn't have to be done perfectly, that the experience of trying is at least as important. I did finish the assignment; I just didn't do work at the level I normally expect of myself. We had five different breakout group activities over the course of the two days led by "lead learners" who were former GTA attendees and rockstar GCTs. Every one of them offered teaching activity models I can take back to my school and use in my library lessons and/or share with my teachers. We also got to hear ideas from nine cohort members who shared short "inspiring ideas" with us. Sandra Chow, for example, showed how she and her colleagues use Google Presentations as a tool to have her math students share their own solutions to a math problem with their classmates. Each student types on his/her own slide hyperlinked from a main solution slide. And, because their solutions are available in real time online, their teachers can give immediate feedback. We also had fun doing game activities like building spaghetti and marshmallow towers at our tables. I'm afraid I wasn't in a single winning group, but I sure enjoyed the competition, got to meet amazing new friends, and learned about games I can adapt to use with my students and teachers. 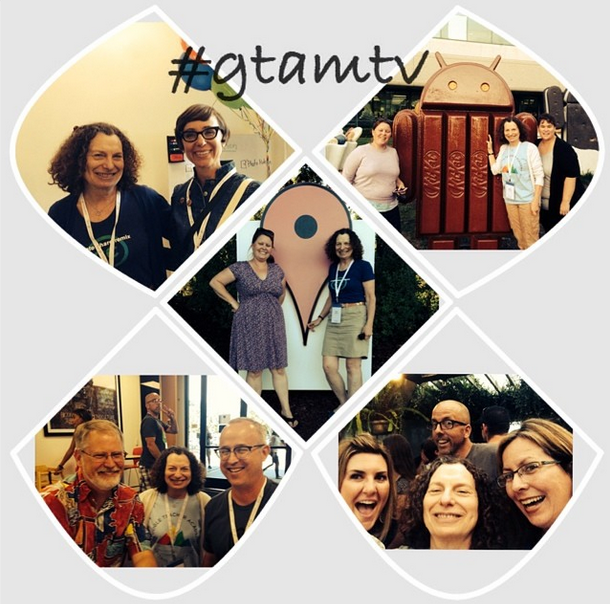 So many wonderful new friends I got to meet and work with at #gtamtv. Wish I had photos of all of them! I read somewhere that Google has recently moved the focus of the Google Teacher Academies from tools to philosophy. That was very clear at the Mountain View Academy. We were definitely all wowed by getting to hear the latest on Google Classroom (in general release August 11! ), Google Play for Education, and Google Educator Groups on Google+, but the emphasis was clearly on how to use these and other tools to innovate and make change for our colleagues and students, rather than on tool "how to's." I can't wait to apply the ideas and models for teaching practice in my own school. I think I've done a good job of introducing and championing the use of Google Drive, Google Docs, and many other Google tools at my school, but I haven't promoted using them through Google Apps for Education. It is clear to me now that we can benefit both from adopting GAFE and from Google Classroom. How can I move my school to take this next step? I know from my own experience how valuable blogging can be for helping students to find their voices and learn digital citizenship skills. 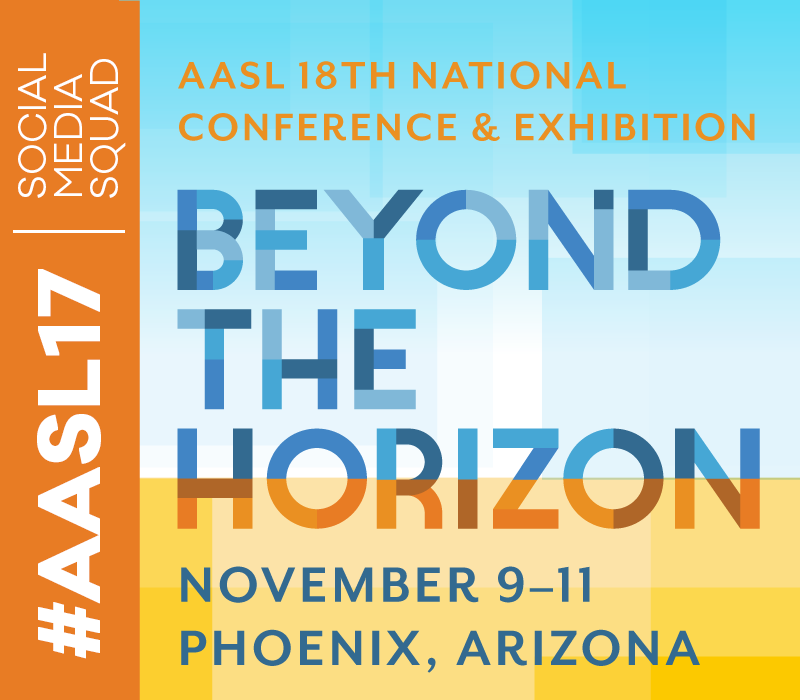 I got lots of new ideas about how to use blogging more effectively from awesome lead learner David Theriault. How can I "market" blogging to more of my teachers? How can I persuade teachers to craft assignments that let students connect to their own interests and choose what they want to learn? I've been wanting to create a maker space in my library. I got some good ideas from colleagues at the academy. How can I best start this process at my school? How can I turn lessons into games to make them more fun and engaging? How can I better share good ideas and professional development with other teachers who are already too busy and/or are intimated by technology? 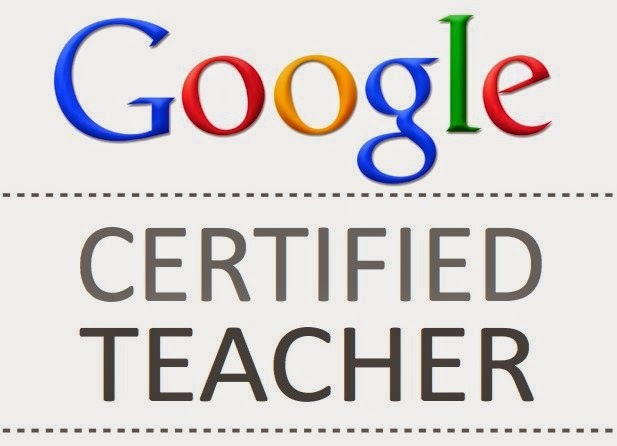 I know that teacher librarians are natural fits for what Google is looking for in Google Certified Teachers. 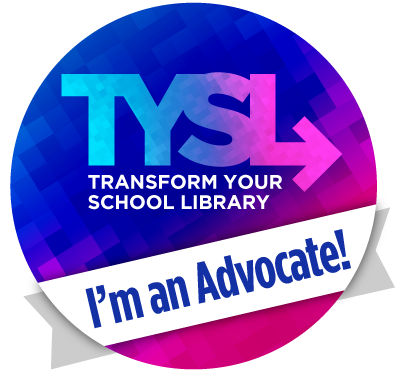 What can I do to encourage more teacher librarians to apply and support their applications?